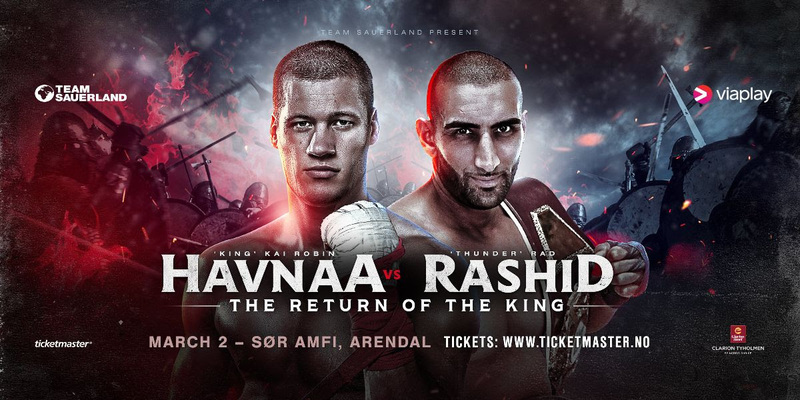 Hadi Srour (2-0, KOs) returns to the professional ring on March 2 at the SØR Amfi in Arendal to face Zoltan Szabo (25-15, 11 KOs) on the undercard of Kai Robin Havnaa’s cruiserweight showdown with Rad ‘Thunder’ Rashid. Srour is one of Norway’s most exciting boxing prospects with over 100 amateur wins to his name, and has successfully transitioned to the professional ranks with stoppage victories over Michael Mooney and Artur Zemlianyi. The Tønsberg-boxer will now test his skills against Hungary’s Zoltan Szabo, who recently went the distance with 2016 Olympic Gold medallist Daniyar Yeleussinov, has stopped Stephen Ormond inside five rounds, and proved a tough test for top UK prospects Ohara Davies and Robbie Davis Jnr. Despite his opponent’s pedigree, the 23 year-old Srour says he is confident in his ability and plans to continue his one hundred percent stoppage streak, even going so far as to predict in which round he will end the fight. “I’m looking forward to fighting in Arendal and performing in front of a packed out crowd at the SØR Amfi on March 2,” said Srour. “Since my last professional fight, I’ve been to three international tournaments in Turkey, Finland and Serbia. I’ve boxed nine fights against top boxers and won seven of those. I’ve also knocked out two boxers in these tournaments, which shows how my style has changed since turning professional. “I’ll be coming into this fight in my best shape ever, so expect fireworks. I started my training camp sparring IBF Youth World Champion Enock Poulsen, and next week, I’m starting an international training camp with some of the best boxers in the world, so I couldn’t ask for better preparations. Hadi Srour meets Zoltan Szabo in a six-round super lightweight contest.